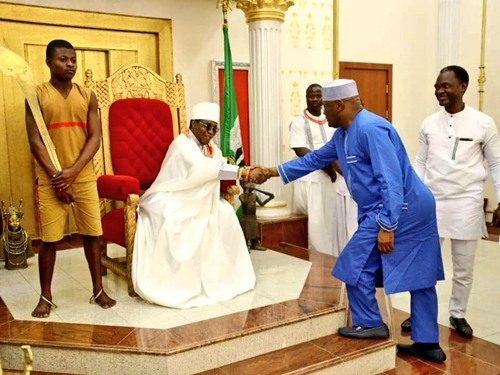 Chieftain of the Peoples Democratic Party (PDP), has paid a visit to the royal monarch in Benin, ahead of the political campaign season. In photos shared on his verified Twitter handle, @atiku, he said the visit was part of his nationwide consultation. 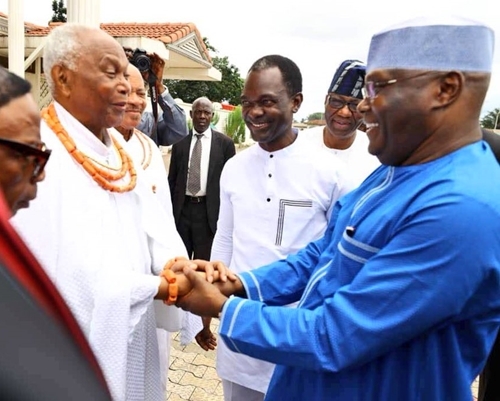 The influential Adamawa state politician also met the Iyase of Benin, Chief Sam Igbe, whom he said trained him at the Police Academy many years ago.